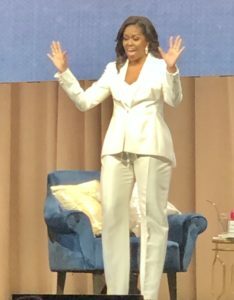 I was blessed to be in the audience for (my forever) First Lady Michelle Obama’s Brooklyn stop on her Becoming book tour. If you admire her, I don’t have to tell you how incredibly amazing she is in all aspects of womanhood and as a human being. If you don’t then we probably have very little in common. Yes! I Am Becoming…for as long as I choose to be. There’s no age limit on growth, change, and manifesting what I want. I define me. I don’t live under the weight of other people’s limitations. A requirement of living my best life is having ride-or-die girlfriends. Her message is very validating for the way I CHOOSE to live my life. If part or all of above is aspirational for you, then you may need a life coach. I say ‘may’ because coaching…at least MY coaching…is for women Ready to Act on their aspirations. So do I. So can you. 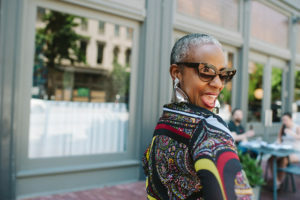 Midlife Manifest Fifties Wisdom Week 14: Ah-mazing Can Be Your Normal Too!